At Yoga Tree we believe in setting the bar high for our advanced students while at the same time allowing them to specialize in the areas of yoga that are of most interest to them. The Yoga Tree Advanced Teacher Training Program will provide you with the skills you need to flourish as a teacher while qualifying you to register with the Yoga Alliance at the 500 RYT level. The Advanced Training is broken down into 3 majors consisting of Core Studies and Electives totaling more than 300 hours of hands on training. 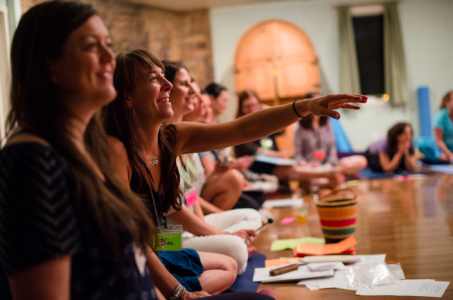 Our electives are broken down into categories, so you will graduate from our program as a highly specialized yoga teacher uniquely qualified to work with the students you feel drawn to serve. The 50-hour Advanced Core Studies is a requirement under all majors. Want to learn more? Watch our 25 minute Advanced Teacher Training Program Info Session to gain even more insight into our advanced trainings. 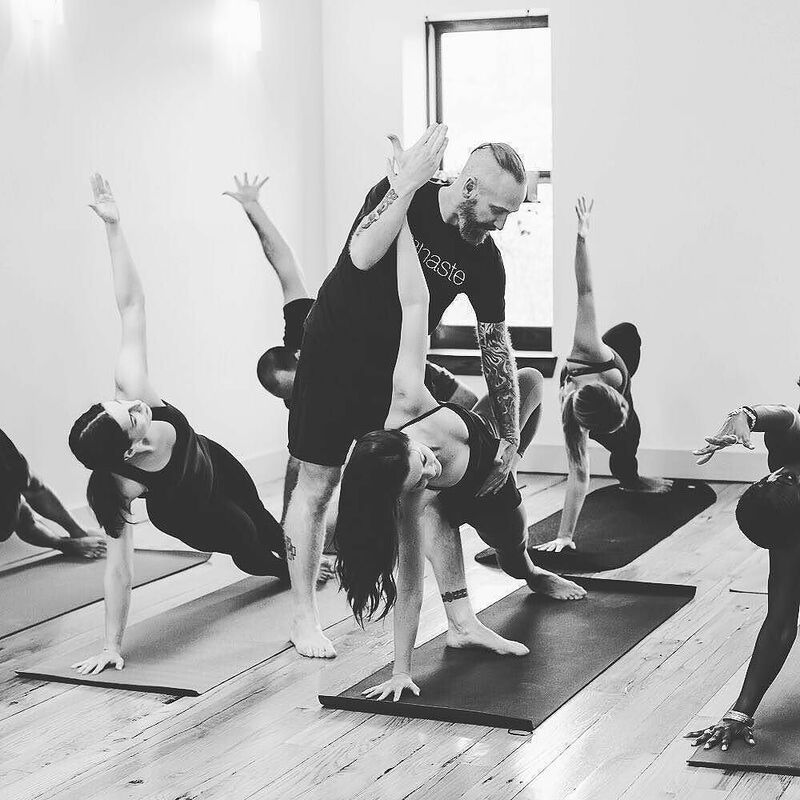 Once you’ve finished your 200-hour foundational training you will likely come to the realization that teaching Hatha Yoga is far bigger and more nuanced than most people realize. 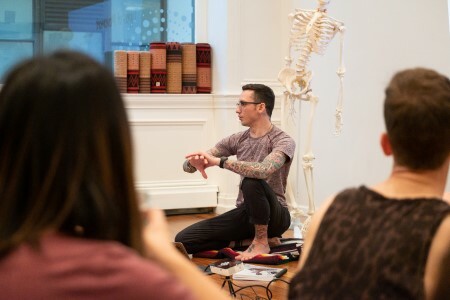 In this major you will have the opportunity to build on the knowledge and skills you acquired in your foundational training by taking a deep dive into alignment, sequencing, anatomy and physiology. Best of all, with our robust catalog of training options, you can pick and choose coursework that speaks to the aspects of yoga that you feel most passionate about teaching. Whether you want to teach more dynamic flow-based yoga, want to refine your knowledge and eye for alignment or you want to offer gentle and restorative yoga to your students, this major is the perfect place to land. The 50-hour Advanced Core Studies is a requirement under all majors. For thousands of years, yogis have explored the vastness of the human mind through the practice of yoga and meditation. 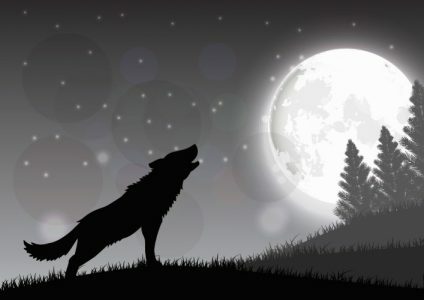 Likewise, modern psychology has also explored the human psyche and arrived at many of the same truths as ancient yogis. In this major you will have the opportunity to explore the intersection of ancient practices like yoga and meditation with modern psychology. Perfect for those trained in psychology and those wanting to work in tandem with psychology professionals, this major gives you a broad array of coursework to understand how yoga, meditation and Pranayama can help students live more mindfully. When indicated, this major is a perfect complement to more modern approaches to mental health and wellness. Scientists, doctors and insurance providers are all in agreement—Yoga and meditation are good for you. Yoga is perfectly designed to promote overall wellness in the body and to complement other modalities within western medicine. If you have a passion for health and wellness, or you want to work with students and their healthcare providers, this major is for you. 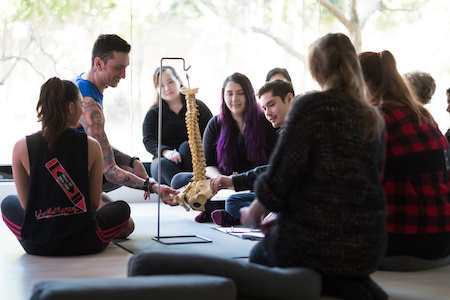 In this major you will have the opportunity to explore everything from advanced anatomy to yoga and meditation techniques that support health and wellness in the face of a number of common conditions. For those that work with other healthcare providers, you will learn about the latest research and how yoga practices can be complementary. Whether you want to work in a doctor’s office, at an HMO or simply support your students more fully in the quest for health and wellness, you will find both knowledge and inspiration in this major. Yoga Tree is a member of the Yoga Alliance, making your certificate recognizable all over the world. Once you graduate from our program you will be eligible to join the Yoga Alliance at the 500-RYT level. Becoming a member of the Yoga Alliance is a great way to let gyms and yoga studios at which you wish to teach, know that you are a professional, highly educated and skilled teacher. To participate in the Yoga Tree 300-hour advanced program, you must have completed a Yoga Alliance Registered 200-hour program. For the past 20 years, Britt Fohrman has been passionate about applying yoga and meditation to all aspects of women's health, particularly pelvic health, fertility and pregnancy. Britt's depth of understanding and appreciation of the female pelvis was inspired by her work as a birth doula and personal experience with pelvic pain. Her teaching style is warm, patient and focused on supporting each student to connect to the voice and abilities of their own body..
It’s all about the core! Your core muscles are critical to arm balances, inversions, and a strong healthy practice for your entire life. But, a healthy core is not just about getting a six-pack, yogis! The deep core starts at the pelvic floor and wraps around both the front and back of your abdominals - 360 degrees around the torso. Let’s jump in and strengthen our core from the inside out. We’ll do a strong practice that will change how you see “core work,” and learn how to keep your core healthy and strong with yoga asana, breath work and bandhas. Danni Pomplun believes that yoga is a metaphor for life. 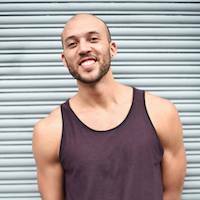 He thinks that yoga should be fun, challenging and encourage you to test and expand your limits. "Yoga is about your own personal journey, and that journey should be 'freaking fun'". 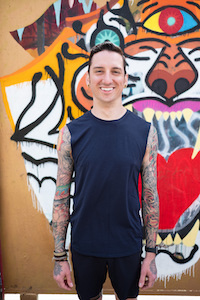 He is a 500-hour Registered Yoga Teacher, a member of the teacher training faculty at Yoga Tree and "a real person" who recognizes that he's "teaching real people". 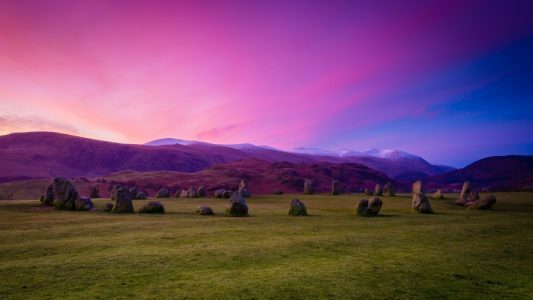 In this workshop, we will enjoy a solar practice with asana, breathwork, and Yoga Nidra that will culminate in the light of our hearts and its healing power. Brenna Geehan is a Level II Certified ParaYoga® instructor. 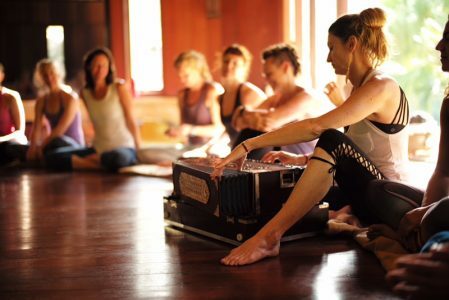 She co-directs Sri Yoga teacher trainings and travels nationally offering yoga seminars. Brenna has more than 1,500 hours of training and more than 16 years of full-time teaching. An immersive day of yoga; a retreat in which you don't have to leave the city! 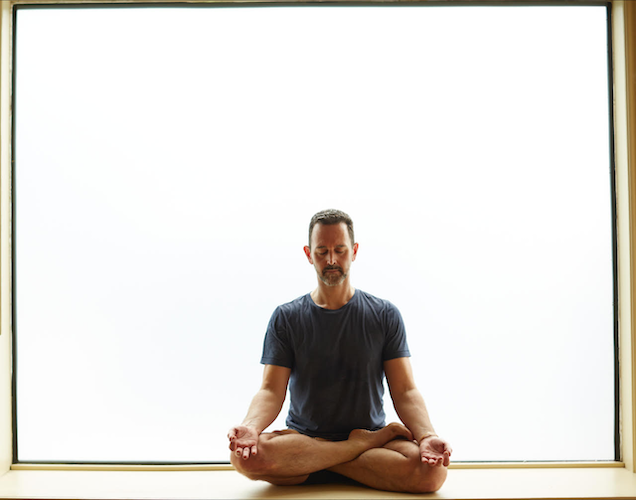 Practice will consist of vinyasa and restorative yoga class, philosophical discussion, simple breathing exercises, as well as an approachable bit of time in stillness and silence. No experience is necessary—only a willingness to explore. Bring a light lunch or feel free to visit one of the few eateries in the neighborhood during a short midday break. Props, including bolsters and blankets, will be provided. Feel free to bring a cushion if you have one. 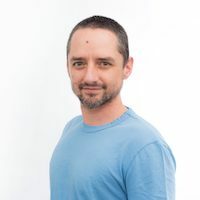 Jason Bowman leads teacher trainings, retreats, and guest lecture series both around the US and internationally and is strongly influenced by years of Ashtanga Yoga and Vipassana Meditation practice. How many times have you had a teacher tell you one thing, only to have another teacher tell you the opposite? The yoga world is filled with alignment cues and alignment belief systems that sometimes contradict one another. So confusing! In this 3-day series, we will focus on yoga postures and highlight the common misalignments in each pose, study the effects on the body, and talk about alignment cue trends to figure out what is working and what is not. This is a class for serious students of yoga, as well as yoga teachers. You will be given an opportunity to practice teach alignment cues, and offer teaching aids as well as adjustments. At the end of our time together you will walk away with renewed knowledge and a fresh approach to the way you teach (and practice). This training is appropriate for students who want to deepen their practice, as well as yoga teachers. This course qualifies for 13 hours of credit in the Yoga Tree Continuing Education Program. *ENROLLMENT NOTE: Advance price registration for this training is not available through the mobile app. Please visit YogaTreeSF.com or call Yoga Tree Potrero at (415) 655-3936 to register at the advance price. *10 Hours of yoga practice is required in addition to the training sessions. You will have through one week after the training to complete these hours. A Yoga Tree 5 class package is included in the price of the training. *Includes special 10-Class pass offer for $150 for 1-year following. This can be purchased in-studio. Training hours are eligible towards the 300 & 1000 hours Teacher Training Programs. Your payment is due in full by the early registration date in order to receive discounted rate. Please note that if you cancel 30 days before the start of the program you will forfeit $250 of your deposit and the remaining balance will be refunded. If you cancel 14-30 days before of the start of the program, you will forfeit your entire deposit and any remaining balance will be refunded. These fees are non-refundable and non-transferable. If you cancel within 14 days before the start of the program or do not attend the program, the entire deposit and program tuition is non-refundable and non-transferable. Once the program begins the program tuition is non-refundable and non-transferable. Estee Fletter, E-RYT 500, is a compassionate and inspired Yoga Teacher, Mentor, and Teacher Trainer based in San Francisco. She is known for her warm nature, the soothing quality of her voice and supportive hands-on assists. Estee discovered yoga in 1999 and has been teaching since 2005. 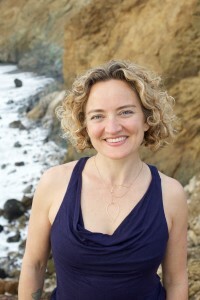 Her grounded and motivating energy provides all levels of practitioners the opportunity to find balance while exploring their own unique possibilities. Where the gaze is directed, the attention naturally follows. So turn the attention inwards and follow the path to your soul. We often look to the outside world to help us become more centered and to find balance. 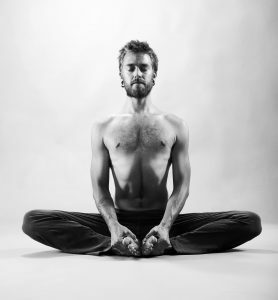 We use our eyes to find our drishti in our asana practice which helps us to become centered and focused. What if we could find this focus within? 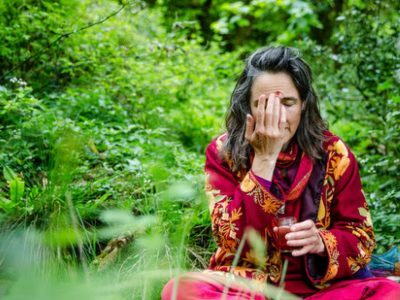 In this workshop will we will use mantra and pranayama to prepare us to do our asana practice with the eyes closed, finding this inner sight to achieve balance and connect to the self on a deeper level. 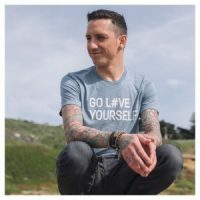 Martin Scott stands in the light of his greatest potential and invites others into their own—this is where his teaching comes from. He brings light and levity to every class while employing an expression of devotion and tradition. 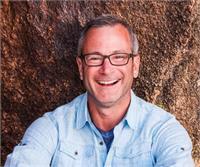 He teaches in a way that holistically inspires his students. 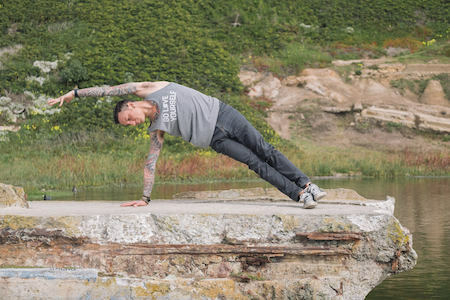 Martin is committed to honoring all of his teachers who have led him to a life devoted to the practice and to teaching yoga to others..
Join in as we honor the shortening of our days. As we usher in autumn, we reap the harvest of your dreams set at the beginning of the year and start the process of letting go to make more space for the New Year to come. In this workshop, we will enjoy an internalizing yoga practice, breathwork, and Yoga Nidra to honor our personal process of birth, life, and death for each passing year! Yoga Tree Hayes, 519 Hayes St.
Face your fears and learn proper alignment to fly! Let yourself go in this workshop that is guaranteed to get the core working and the adrenaline pumping. 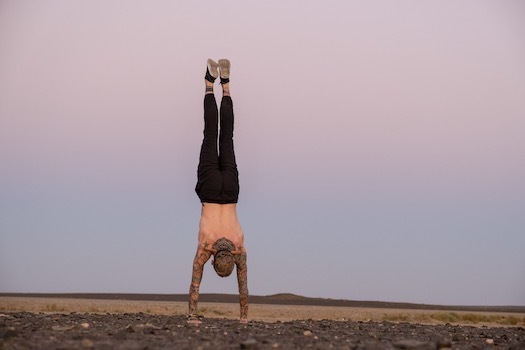 After a warm-up practice, the class will break down the basics of handstand and crow—the major gateways to an inversion practice. After a solid exploration of these shapes, there will be time to explore other arm balances, inversions, and flows. We will also cover strategies for understanding and overcoming fear. This class will challenge your resolve and allow you to more fully explore the amazing possibilities in your practice. Learn to focus your mind, settle your nervous system and release your body to make your birth easier, faster and more intuitive. With Restorative Yoga poses and HypnoBirthing breathing and visualization, you’ll surrender into deep relaxation, increasing your comfort throughout pregnancy, birth and postpartum. People at any stage of pregnancy are welcome. 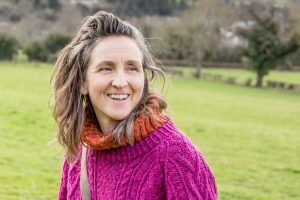 Britt Fohrman creates a healing, loving, and supportive environment for people in all stages of the childbearing years, in her work as a yoga teacher, birth educator, photographer, and birth doula. She is passionate about helping pregnant people consciously prepare for birth and parenting through yoga, deep relaxation, self awareness and compassion. Though she’s studied with many leaders in her field, she finds that her most profound education has come from witnessing the power of over 500 families giving birth..
Come experience deep relaxation through a restorative practice, with deep release to help remove built up stress in the body. Our focus will include conscious relaxation techniques to help reset negative processing. Sound healing bowls and aromatherapy will enhance the experience and encourage the body to surrender into the full support of a restful practice. This workshop is open to all students, beginner to advanced. Yoga Tree 6th Ave., 182 6th Ave.
Nadine Johnson started practicing while working 12 hour days and traveling 100K+ miles per year. She started teaching to help others find a healthy balance in life. She believes what’s created on the mat can be beneficial off the mat as well. She is an E-RYT500 certified YogaWorks trained teacher who has also completed Urban Zen-level 1. She is heavily influenced by her continued education through workshops and trainings with senior teachers such as Jillian Pransky, Richard Freeman and Sarah Powers. 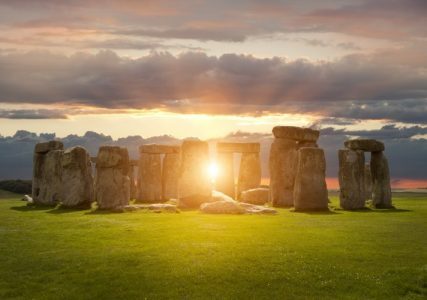 Join in this candlelight practice celebrating the longest night of our year. This is a time of silence, listening, resting and dreaming. In this workshop, we will enjoy a yin energy practice, nourishing breathwork, and Yoga Nidra to celebrate the presence of Spirit, gather strength in our bodies, and create the perfect soil for our dreams to become reality in the new year. Offered twice per year, this format includes all three segments - Advanced Alignment, Advanced Assisting and Advanced Sequencing. This is perfect for those who live in the San Francisco Bay Area and those wishing to immerse themselves in this program completely. 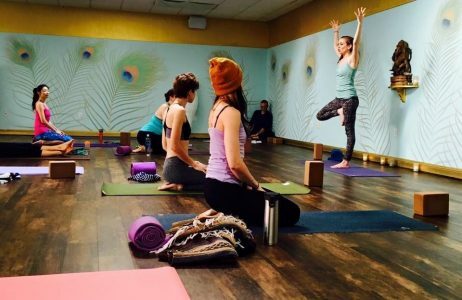 Prerequisite: 200 RYT certification through Yoga Alliance or completion in Yoga Tree's Level One Teacher Training This is a required course for Yoga Tree's 300Hr Advanced Program. Tuition includes one 5 class package. 10 Hours of yoga practice is required in addition to the training sessions. You will have through one week after the training to complete these hours.